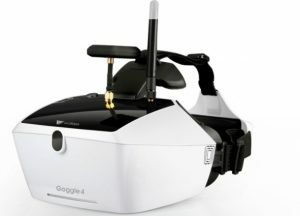 The Walkera Technology Co designed the Goggle 4 FPV glasses very much with comfort in mind. Comfort is so important. It doesn’t matter how good FPV goggles are, if they are not comfortable, then you won’t wear them. The Goggle 4 glasses are light (528 grams), adjustable and have excellent padding. There is only a small bit of pressure applied to your face while wearing the FPV glasses. The large high definition 5 inch screen allows you to see details quickly which many other FPV goggles would never pick up. The Walkera 4 goggles are made with high-tech precision optical components which prevent eye fatigue. You can adjust brightness, chroma (color) and contrast to suit your particular eye comfort level. With 5.8 G double antennas and 40 channels which support real-time HD images transmission, you will never have to worry about weak signal or reception. If you would like to understand the technology behind first person view on drones, then read this terrific article entitled “Understanding FPV Live Video, Antenna Gain And Range“. The Walkera Goggle 4 FPV glasses can search channels automatically, prioritize and receive the strongest signal. These FPV glasses also allow for manual channel selection. AV input and output ports allow you to connect other entertainment systems so you can have your own personal cinema. Watch movies in perfect detail, color and clarity. It’s a tremendous experience. 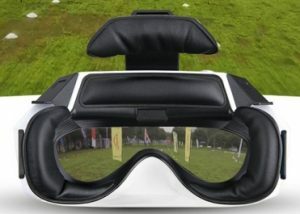 The Walkera Goggle 4 FPV glasses have an inbuilt battery with over 120 minutes of viewing time. The built in battery is a the 7.4 Volt 1200 mAh LiPo. At the time of writing, the Walkera Goggle 4 price has dropped and is excellent value. 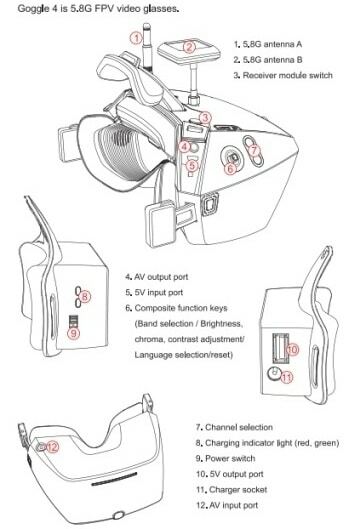 Many other FPV goggles work with the Walkera quadcopters and you can view a full range of FPV goggles here. Here is a nice video showing the clarity and responsiveness of the Goggle 4 glasses. Very clear and excellent for drone racing. Flying using FPV goggles is also great fun. Don’t forget that you can also use these fantastic goggles for more than just drone racking. They are very much for cinematic entertainment. Now to finish off this article, here is 3 Walkera Goggle 4 videos which show you how good they really are. This videos gives a nice close up of the Walkera Goggle 4 FPV glasses. It shows everything that comes in the box and all the connections etc. Beautiful design and comfortable.